I had seen all the hype on social media in the lead up to LGG’s release, and I was lucky enough to win a copy on a Halloween give away from Killer Reads over on Facebook so I finally got around to reading it in the past couple of days! Firstly, I have a love/hate relationship with books that have “girl” or “gone” in the title, and this had both. However, it is nothing like those other books to which the inevitable comparisons are drawn. I have to say, even nearing the end, I was still undecided as to whether or not I liked this book! I think it’s because I didn’t really like Estelle, which in turn made me less inclined to empathise or root for her. In saying that though, upon finishing, she slightly redeemed herself in my eyes. The book is written in four parts, and the chapters are relatively short so it’s an easy book to read. I’m sure, given the time, I could have read it in one sitting. The narrative has enough twists and turns to make you say just a few more pages, which is something I look for in a good book. As a mother, I could relate to some of Estelle’s anxieties and emotions with a new baby, but at the same time I wanted to hit her for her terrible decisions at different points in the book. Alexandra Burt has done a great job in that sense. The neuroses that only a new parent can feel were captured perfectly. Couple this with a hard, almost unforgiving husband, and you have a recipe for relationship trouble. 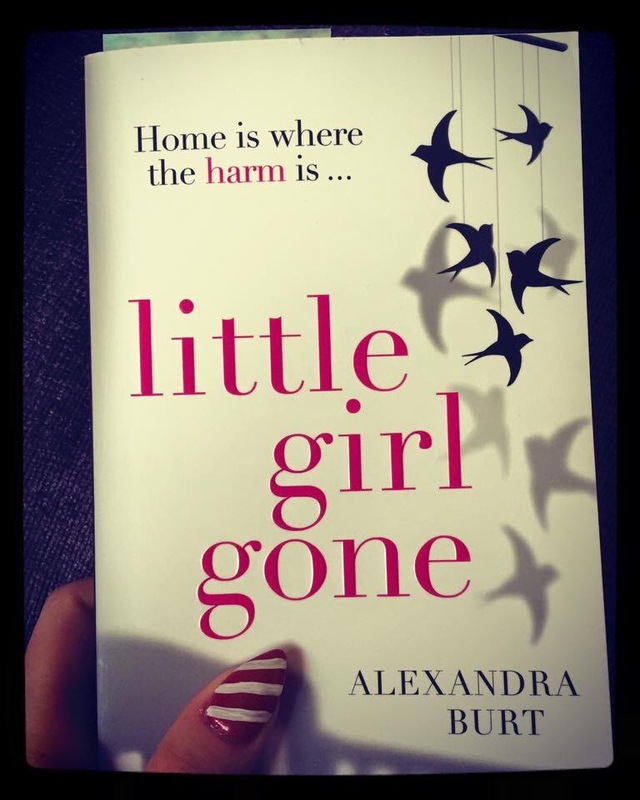 I find it hard to say I enjoyed a book with a theme as horrendous as child abduction, but Little Girl Gone was a well written, pacy, page turning book. It had just enough tension to keep your heart rate up at times too. While not the best book I’ve read this year, I did enjoy it! I gave Little Girl Gone 3⭐️ on Goodreads.